Won Best Local Feature at the 26th annual Philadelphia Film Festival. Horror audiences will appreciate the many references and scenes devoted to the Friday The 13th films, zombie films, and other horror movies. For fans of American Movie, Hoop Dreams, and War Room. At The Drive-in is something every film lover should see. 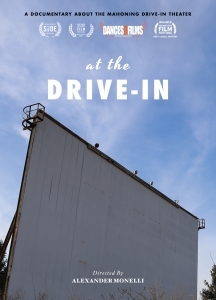 One of the best new documentaries... At the Drive-In is highly recommended. There's more humor, charm, emotion, drama and thrills in director Alexander Monelli's love letter to.. the love of film and the treasured places we see them in, than there is in most of Hollywood's big studio blockbusters of late! It is what Monelli is able to do with the theme of community that ultimately allows this documentary to go from polite entertainment to something somewhat more substantial.